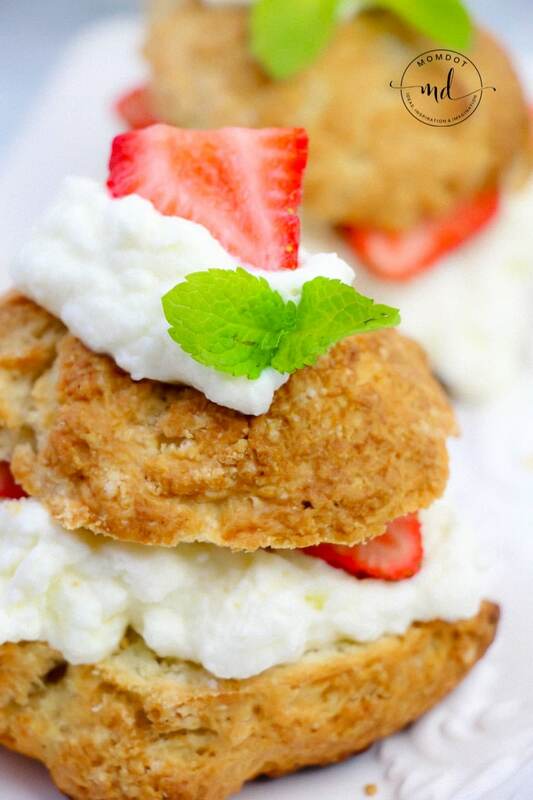 This Organic Strawberry Shortcake Recipe is simple, easy and homemade, making it a perfect way to enjoy dessert with out so much guilt! Covered in strawberry sauce and fresh whipped cream, this strawberry shortcake recipe is a very dense version of a family favorite with a rich delicious finish. Grab a fork and dig in! As you very well know if you visit here at all when I post a recipe, baking is something that is hit or miss for me. Sometimes it ends in disaster and sometimes its as lovely as love can be (Reeses Peanut butter cookies). But one thing I have learned and I hope you have too, is that ingredients you choose make ALL the difference in cooking. Margarine is NOT butter, baking soda is not baking powder and so and so forth. And one of the best things you can do for all your holiday baking (specifically cause it takes a lot of time and a lot of money) is to buy the best from the get go. That way your mother in law isn’t silently wishing she baked the cake if you know what I mean. Now while its not “holiday” per say, I wanted to make Strawberry Shortcake to showcase the taste and refinement of Organic Valley ingredients and used a recipe right on their site (with permission of course)! I then added my own special strawberry sauce and a combined effort of whipped cream spiced with peppermint to holiday it up a bit, which you can get below as well. Preheat oven to 400°F. Lightly butter a baking sheet. Sift the flour, baking powder and sugar into a bowl. Add the Organic Valley European-style Cultured Butter, using fingers to work it quickly into the flour until the mixture resembles fine crumbs. Mix Organic Valley Half & Half together with lightly beaten egg, and add wet mixture to dough; stir with a fork until the dough just holds together. Knead the dough on a floured surface until it’s smooth, yet don’t overwork the dough. Roll out the dough to approx. 1/2-inch thick. Using a floured 2 1/2- or 3-inch cookie cutter (or a floured glass), cut out 6 rounds. Gather the scraps, reroll; cut 2 more rounds. Please note: This recipe is for an open face Strawberry Shortcake, if you prefer a 2 piece dessert roll out dough to 3/4 inch and create 6 rounds. Split open when cooled, and assemble. Put the 8 rounds on the prepared baking sheet. Bake in the center of the oven for 15 minutes, or until the biscuits are golden brown and firm to the touch. For the filling, mix berries and sugar in a bowl. Cool the biscuits on a rack. Heap them with the chilled strawberries and whipped cream. Serve immediately with remaining whipped cream on the side. Knead the dough on a floured surface until it's smooth, yet don't overwork the dough. You can never go wrong with strawberries and sugar…or strawberries and honey…or strawberries and agave (honestly, anything with strawberries is good) but I wanted to add a little extra to the shortcake by making a delicious strawberry sauce instead of just traditional sugared fruits. Mix ingredients over a medium heat saucepan until blended and the strawberries are soft. The sauce will start to form. Keep stirring for approximately 5-10 minutes until sauce forms. 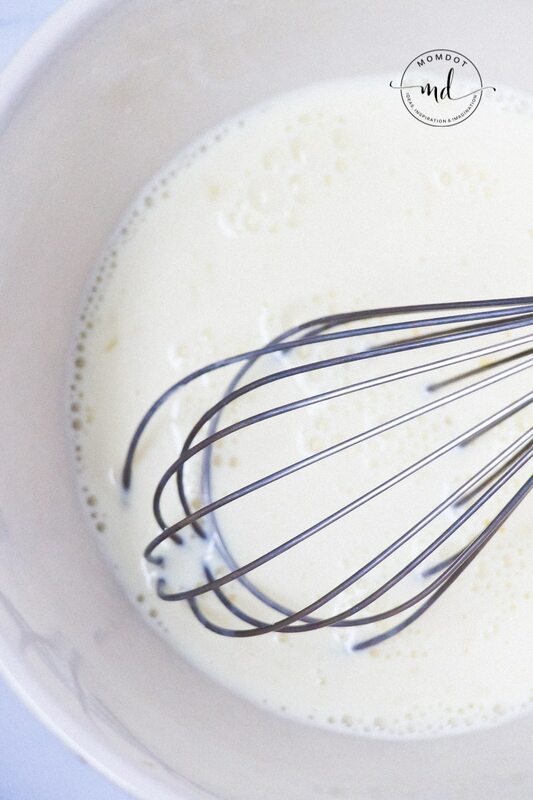 You can drizzle this over the shortcake, ice cream, just about anything! I realize that strawberry shortcake is a little out of season, but add some homemade peppermint whipped cream to it and it has just the right amount of holiday attached! Recipe altered from the Organic Valley Whipped Cream recipe. Chill everything. The colder the better! This is a great way to make any strawberry delight without bloating and Organic can help you do that. Your strawberry shortcake looks delicious! I choose organic because tha way I don’t have to worry about pesticides or chemicals. It’s also a higher qualitly and it’s fresh. I feel it’s healthier. Thank you for the great recipe and giveaway! I choose organic when I can to avoid the hormones and chemicals. I select organic because I can digest the foods I eat better. I love Organic products because they are eco friendly and good for health! I choose Organic because it tastes better and it is free of preservatives. I choose organic because it is best for our family. I choose organic because I know its better for my family’s health, the less chemicals the better! I try to use organic products because I worry about my family eating foods that have added chemicals in them. I choose organic to avoid eating/drinking foods that have chemicals and hormones in them! It is better for me. I choose organic to cut down on the consumption of chemicals. I have cancer, so going organic is one of the lifestyle changes i have decided to make to better my overall health. I choose organic when possible because my oldest son tested high for some scary things doctors attributed to his food or environment. I like organic because I know it is healthy for me and the family to not have the bad hormones…. 2. No persistent pesticides or synthetic fertilizers. 3. No synthetic growth or breeding hormones. I choose organic for my families health! I choose organic, because I think eating animals with artificial hormones disrupts our own systems. My boys don’t love vegetables so giving them healthy options in other areas of their diet is a plus. Reducing their consumption of chemical and processed foods is also beneficial. i choose organic to avoid growth hormones! I care about the amount of pesticides being put into my body, but more so in my children’s. I shop from the Clean 15 and try to avoid the Dirty Dozen. I choose organic to help the earth and my family’s health. Organic milk tastes better, and lasts forever. To cut out chemicals for my kids. I choose organic as our health care! I try to by organic foods because it’s kinder on our bodies and the environment. I choose organic because it is healthier for my family. I choose organic because it makes sense! i try to live naturally, and prefer to avoid chemicals in all products that i use and eat. Organic just makes `me FEEL healthier. I choose organic because I don’t like the chemicals used in non-organic items. We buy organic because it has a better flavor! I choose organic because my children deserve to have the healthiest food available to grow on. Organic is usually better for you and I have a lot of health problems so anything without chemicals is better for me. I try to eat organic whenever possible, its scary what is on nonorganic foods! I was diagnosed with stage 4 cancer 6 years ago and denied chemotherapy. I changed my diet to organic and cut out all meat. I have been cancer free ever since! I know we’re getting so many dangerous toxins from the times we eat out and just from life, in general. When I have a choice, I choose to limit harmful hormones and chemicals to give my kids a chance at a healthier life. Because I like that organic foods contain no chemicals and are better for my family. I choose organic to help the environment. I choose organic because I want to give my kids the best basis of food that I can. I want them to be healthy and live long lives. Because I don’t want to give my family food that has been treated with growth hormones and chemicals. I choose organic whenever possible to avoid hormones and chemicals.